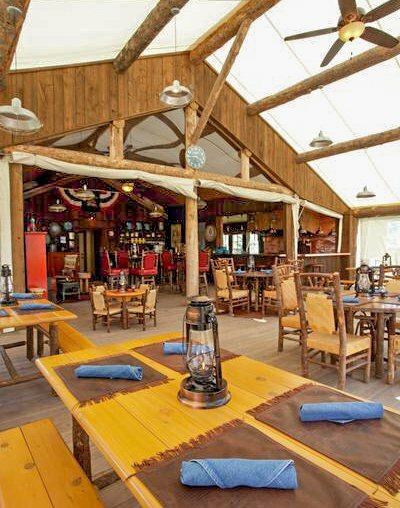 A unique lodge with an expertly appointed dining room. 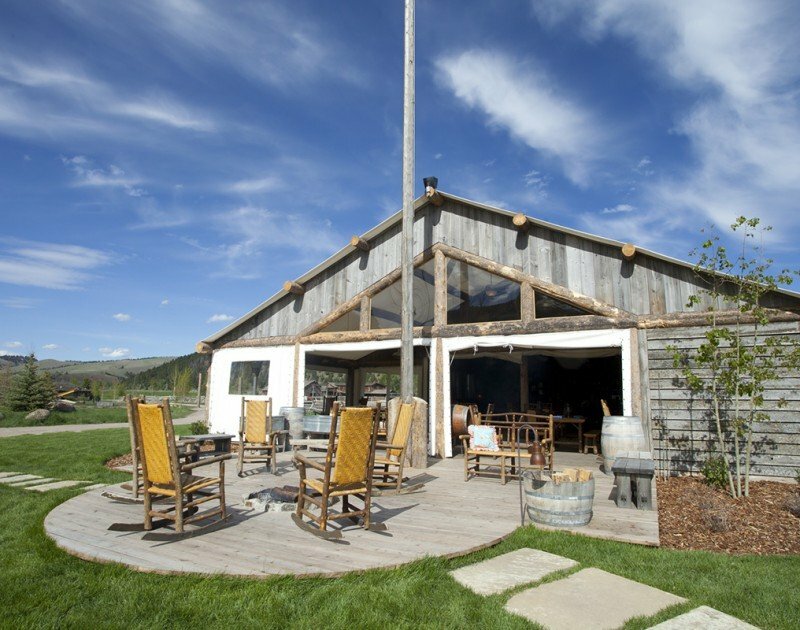 The Granite Lodge hosts breakfast, lunch and dinner daily, specializing in evening multi-course menus, tasting menus and paired regional wine tastings. 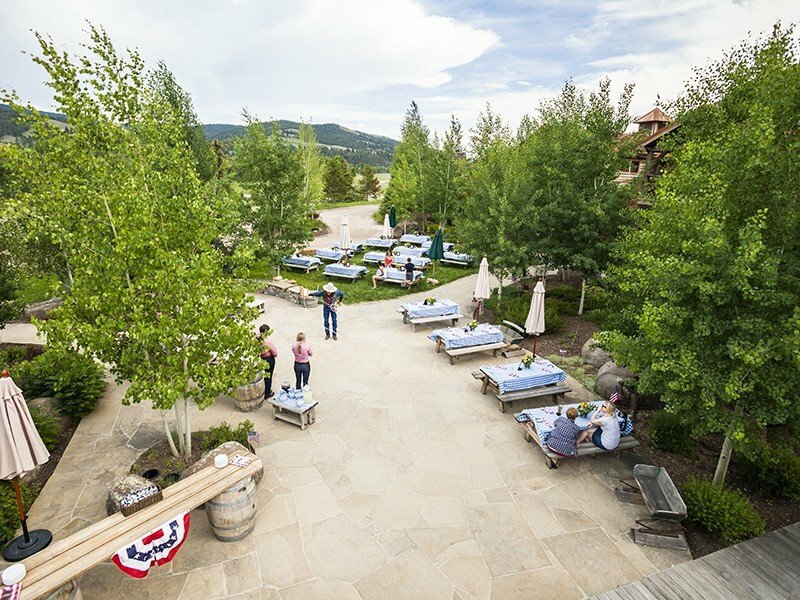 Arrive at 6 pm in the Great Room to enjoy artisan cocktails and gourmet hors d’oeuvres before you step in to dine by the fire and share tales of your day under the Big Sky. 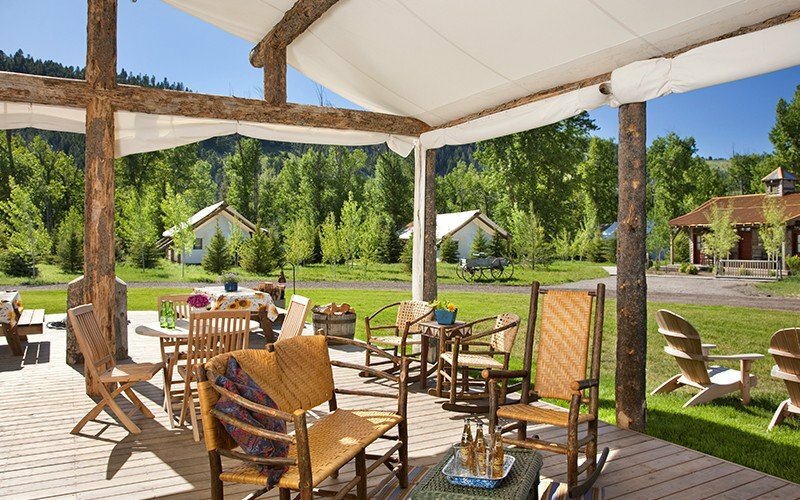 The epitome of ranch style dining in the open-air. The Blue Canteen is a hybrid cabin and canvas tent, turned breakfast and lunch nook, made cozy by a wood-burning stove. 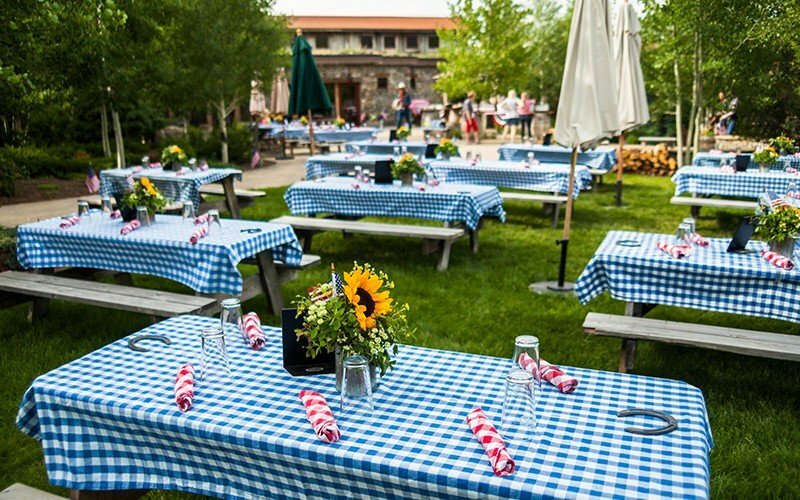 Enjoy casual cuisine, such as a grilled chicken and kale pesto sandwich or pulled pork with potato fries and an organic green salad for lunch or coffee with pastries and granola for breakfast on-the-go. 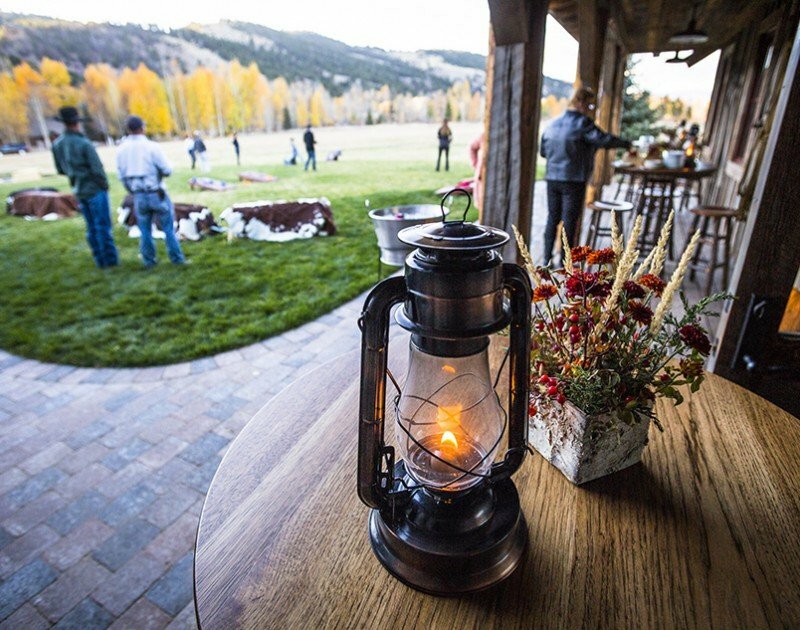 The flagstone plays host to a weekly Chef’s grill and Dutch oven dinner in the warmer months, as well as s’more roasting by the campfire under the aspen trees. 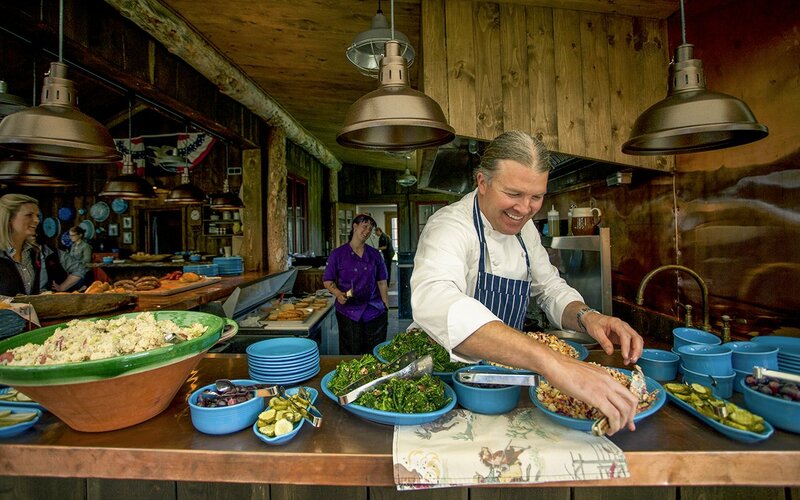 The food prepared in the open-air wood fire grill is rich and fresh—a locavore’s delight. 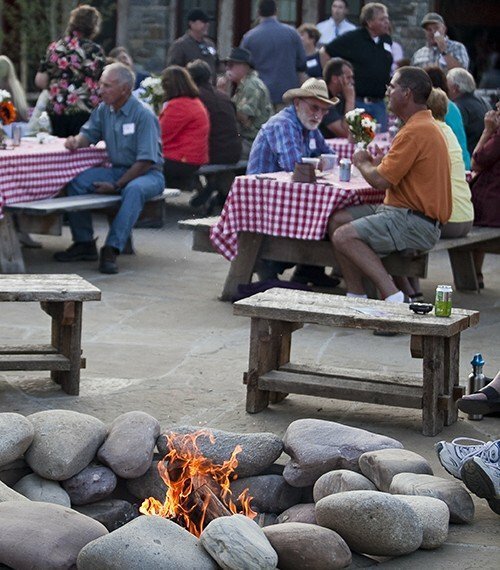 At the heart of The Ranch, the Flagstone hosts welcome celebrations, and it’s just steps away from the Great Room and evening entertainment in the Silver Dollar Saloon. Our 5,500 sq. 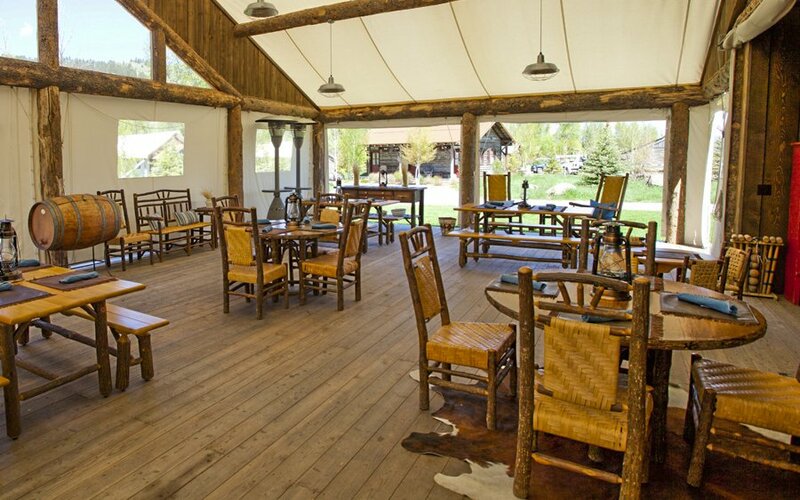 ft. event barn boasts on-site catering with its modern expo kitchen and wood fire grill. 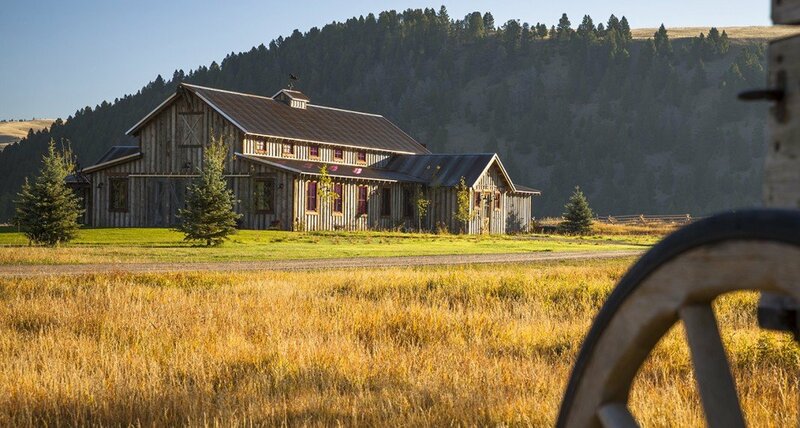 The custom-built grill facade is made of repurposed John Deer tractor parts, adding to the ranch style flare. 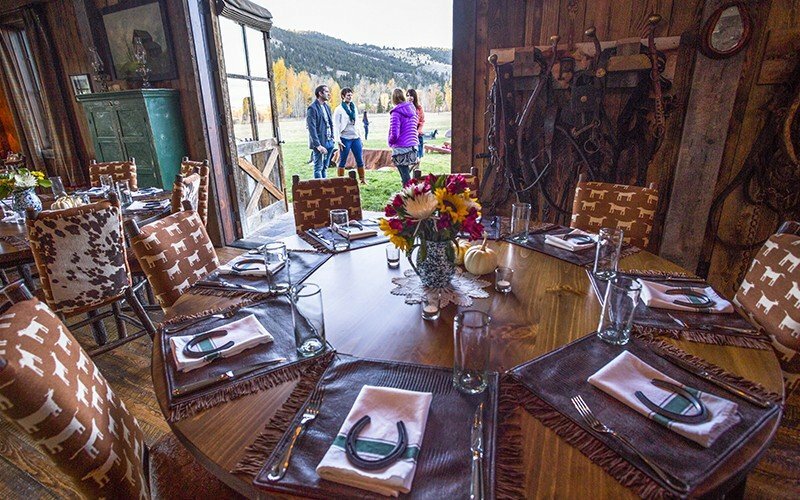 Seasonal celebrations and special events are hosted in this warm and traditional Montana setting, often followed by live music and dancing on the circular-sawn fir floors. 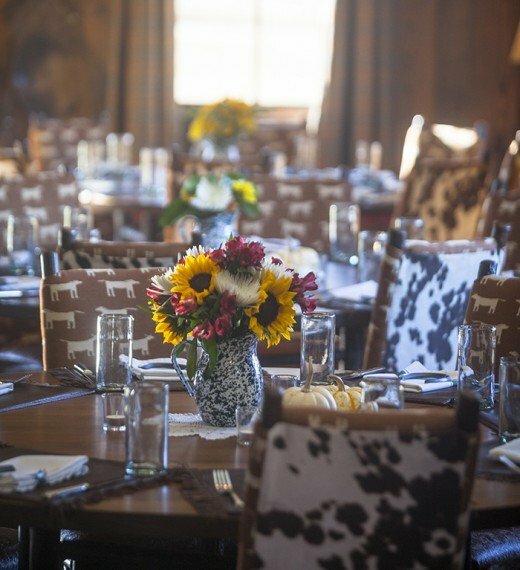 Private group dining events can be arranged at these and other locations at an additional fee. 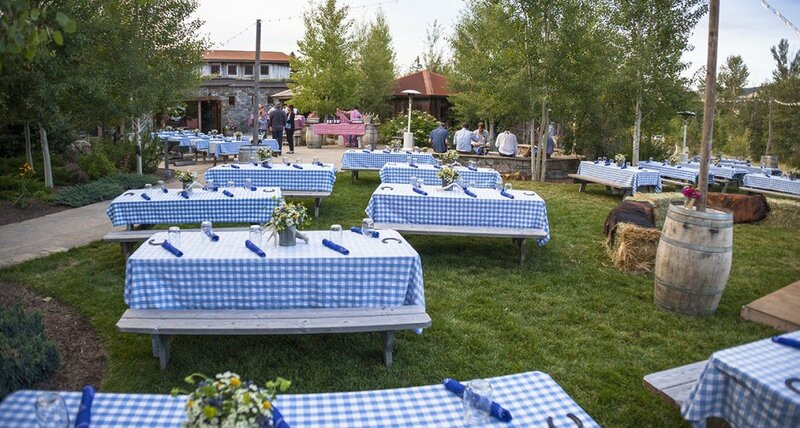 See our Event Venues for details.